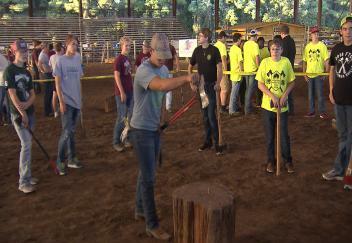 (Video 10/10/18) This week is National 4-H Week, and a long-standing Vernon Parish 4-H tradition is the high school woodman skills competition. The event is part of the West Louisiana Forestry Festival and helps recognize the important role forestry plays in the local economy. LSU AgCenter reporter Craig Gautreaux was in Leesville for the event and has this report.